Everyone knows you can't call something a trend until Instagram says so and where our feeds go we follow - no matter how extreme the look, it's all about the likes. And it's fair to say they don't come much crazier than squiggle lips, the wonkiest make up trend we ever did see. If you've only just got over the sight of the equally-impressive but WTF squiggle eyebrows, you're not alone as our pupils are still recovering, too. But hold on just a second because if you thought this was peak make-up madness, you couldn't be more wrong. Here we are a mere week later presented with another look about to take its place and it's every bit as odd. 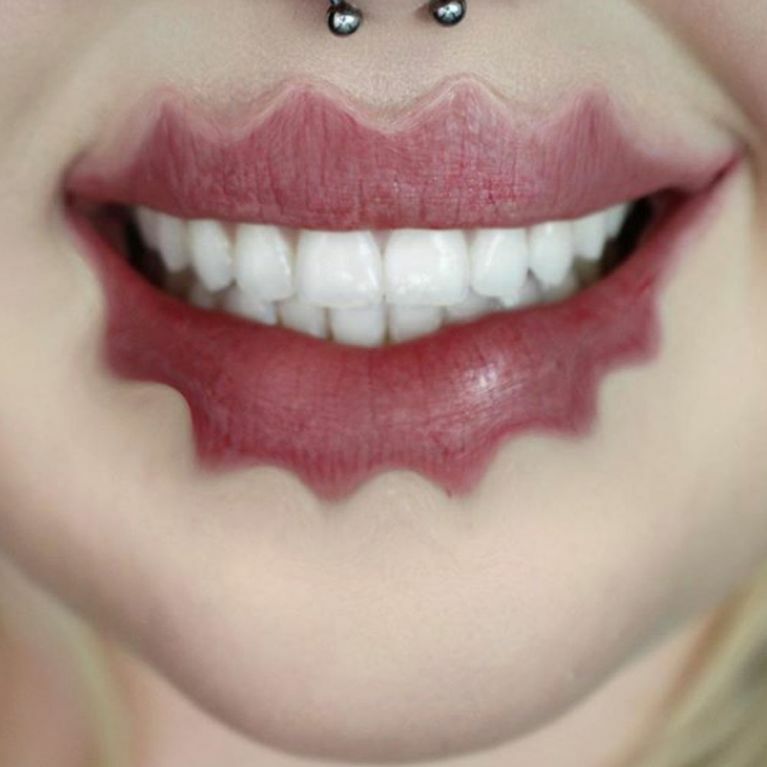 Vlogger and beauty influencer Lexington has sent the Internet into meltdown with her trippy lip look, captioning the original post: "New trend alert! Wavy Lips... 👍🏻 or 👎🏻? Obviously this is MAKEUP and NOT FaceTune, any haterz will be #BLOKT." But the reaction from her followers wasn't entirely positive with trolling comments flooding her feed which included: "Just block me. You know damn well not to walk out the house like that smh..," "ARE YOU FOR REAL?" "That sh*t ridiculous asf this generation out here looking goofy as" and "How about I put wave on my brow and lips, looks ugly should I take it off... Naaahhh I'm good." ​Either way, it looks like we'll have to start building on our limited make up skillset stat if this is what the future of beauty looks like.